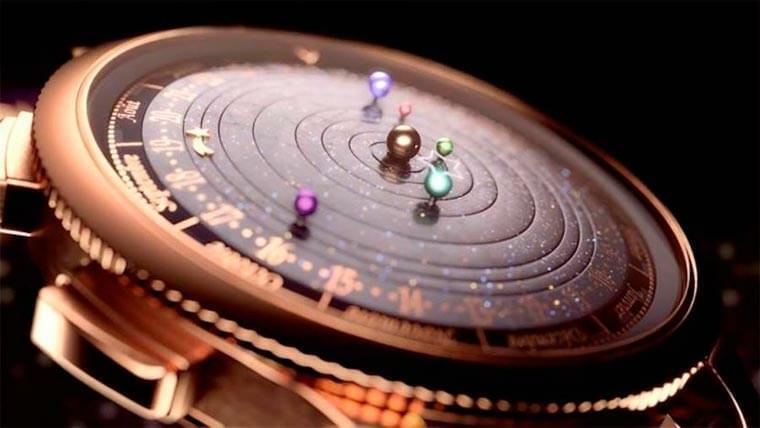 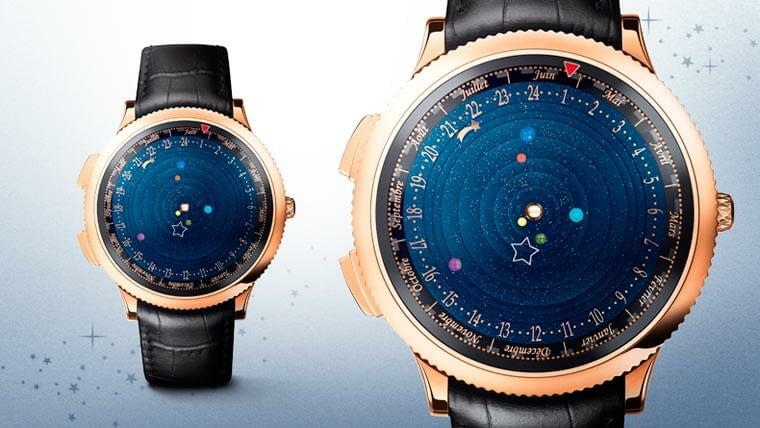 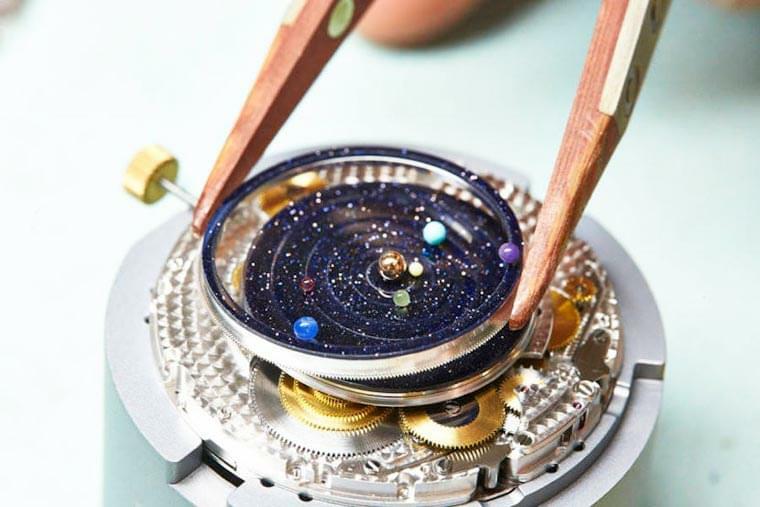 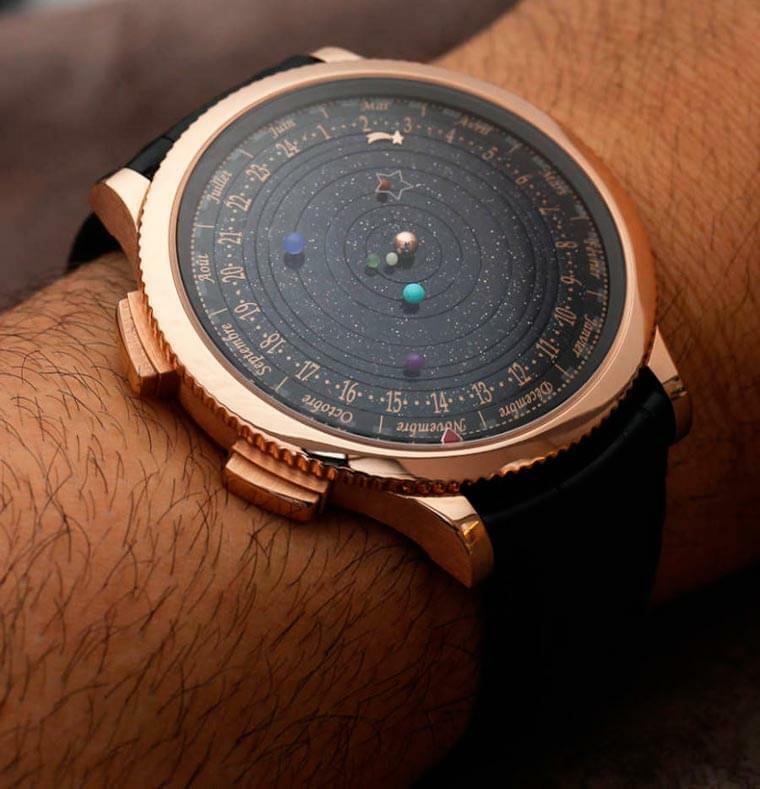 Entitled The Midnight Planetarium Timepiece, this amazing watch mimics the movement of the planets, showing the location and the orbits of the planets in real time. 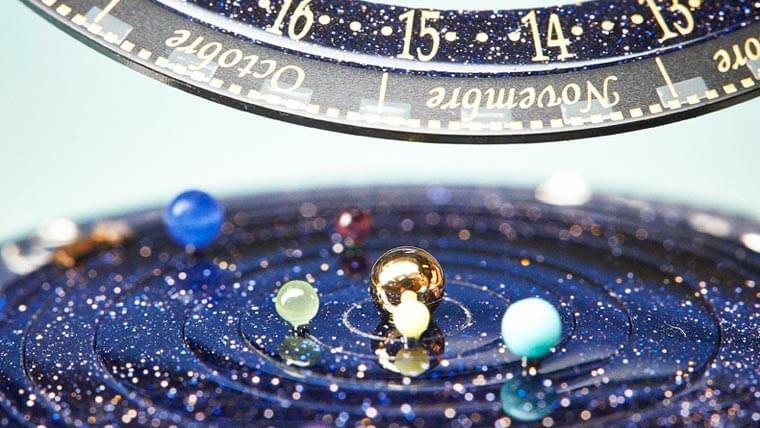 This means that the Earth will spend 365 days to circle the quadrant, while Saturn will spend 29 years! 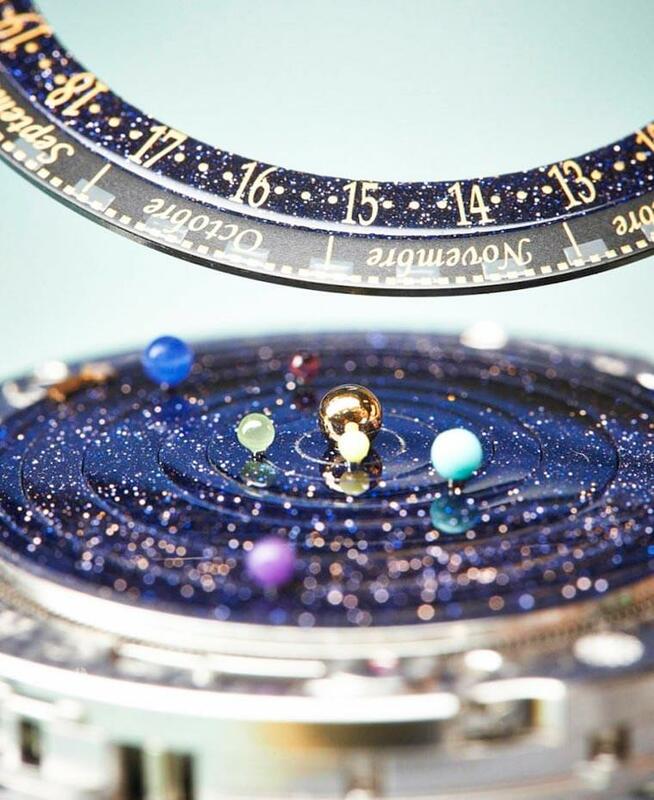 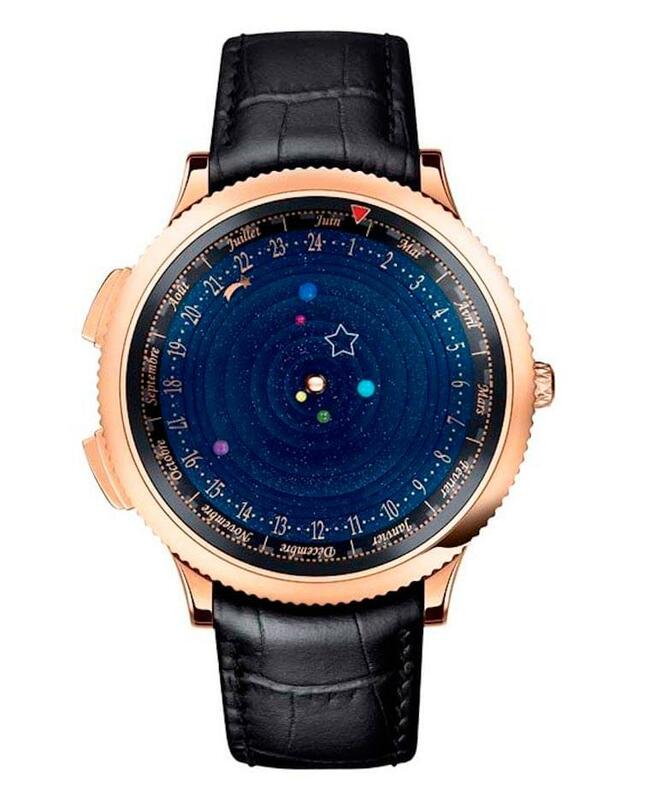 In this luxurious creation designed by French designers of Van Cleef & Arpels, the planets are made of precious stones, chloromelanite, jasper, agate or sugilite, and a shooting star is here to indicate the hour. 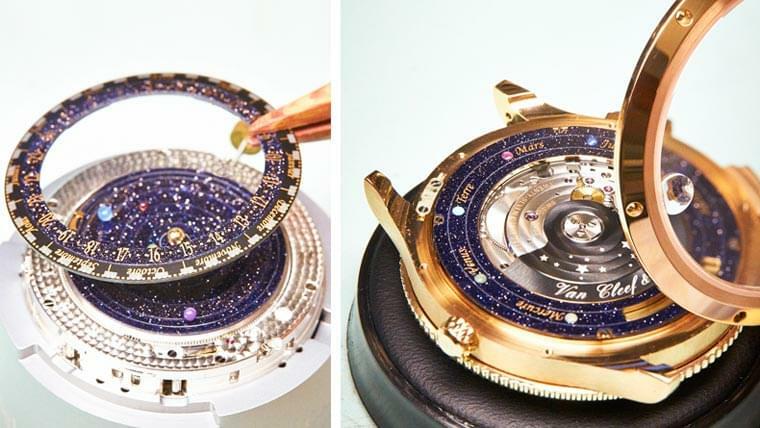 Well, it will cost you just about 225 000$ to get this creation!